There are no areas where no NGOs are going but there are vast areas where very few NGOs are going. 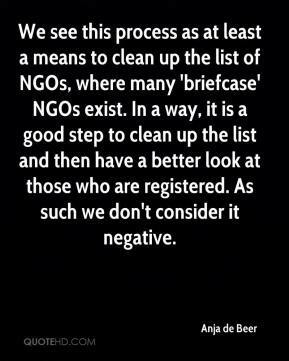 We see this process as at least a means to clean up the list of NGOs, where many 'briefcase' NGOs exist. In a way, it is a good step to clean up the list and then have a better look at those who are registered. As such we don't consider it negative. Last June, when the new NGO legislation was adopted, there was also a requirement for the re-registration of all registered NGOs. 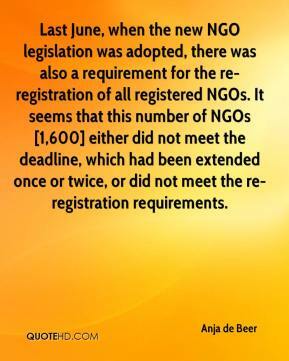 It seems that this number of NGOs [1,600] either did not meet the deadline, which had been extended once or twice, or did not meet the re-registration requirements.